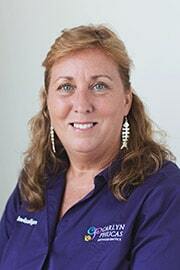 Debbie is a Registered Dental Assistant and has worked with Dr. Phucas since 2004. She thoroughly enjoys working with all the patients to help achieve their goals. Debbie loves reassuring the children of the great experience they will have during their visits. When not working, she enjoys spending time with her husband and two children. Debbie is an avid reader. 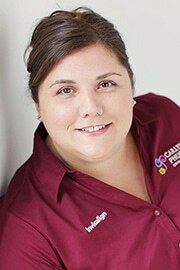 Nicole is a Scheduling Coordinator and has been an integral part of Dr. Phucas’ team since 2004. She is often the first person you will speak with when you call our office as well as the first person to greet you when you walk in. Nicole is always delighted to answer any questions you may have or schedule your next appointment with the utmost friendly experience. Nicole loves spending time with her husband and 2 adorable children. Nicole also enjoys the beach and gathering with her family and friends. Renee is a Treatment Coordinator as well as a Registered Dental Assistant and has been a part of this wonderful team since 1997. She enjoys working in such an amazing practice and declares that Dr. Phucas is absolutely fantastic and she treats her office staff and patients wonderfully. It’s like one big happy family! Renee enjoys working with all the children and adults contributing to the outstanding experiences they have in our practice. She loves seeing the transformation in the patients smile during the course of their treatment and the priceless smiles upon completion. When not working, Renee is spending time with her two daughters, Alexa and Camryn, her husband Rob, and her dog Jinger. She enjoys going to the beach, running, and exercising. Her family enjoys watching all Philadelphia sports teams! Kathryn has been our Sterilization dynamo since 2005. In addition to managing all instrument sterilization, Kathryn organizes all inventory throughout our office and keeps our clinic sparkling. 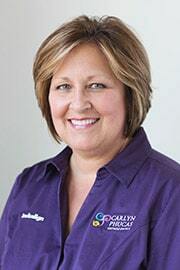 Kathryn enjoys assisting other team members so that our patients receive the high quality care they deserve. She loves the interaction we have with our patients, “it’s like they are family.” When away from the practice, Kathryn enjoys time with family and friends. She looks forward to helping you along the way to a beautiful, healthy smile provided by Dr. Phucas and Team. 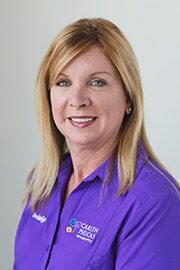 Karen has been a Registered Dental Assistant since 1983 and she has been with Dr. Phucas’ team since 1993. She enjoys working with the patients and being a part of their positive experience as well as building relationships and getting to know the families. She also enjoys doing lab work which includes making retainers and expanders. Her favorite time in the office is spent chair side as an assistant, interacting directly with patients. When she is not working, she loves spending time with her son, family, and friends. She also loves to cook and enjoy her two dogs. Ashley is a Registered Dental Assistant and has been with Dr. Phucas’ team since she graduated from the Camden County Dental Assisting Program in 2007. She went to Gloucester County College and earned her Associate’s degree in Liberal Arts. Ashley loves dentistry, not only because she gets to see amazing transformations, but also because she values the relationships that she develops with each patient. Ashley enjoys the outdoors; summer is her favorite season. She loves dogs and children and in her free time, Ashley enjoys her family, adorable nieces and nephews. Graci is currently one of our Patient Coordinators but has worn various job title hats since joining our team in 1997. Graci is knowledgeable in all areas of our orthodontic practice and is known for giving a warm welcome when they call or visit our practice. 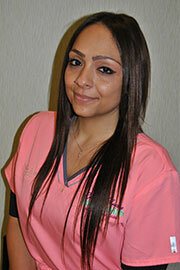 She finds enjoyment working and interacting with all of our wonderful patients and their families. Graci loves spending time with her husband and her son, Noah and is a Disney World enthusiast!! 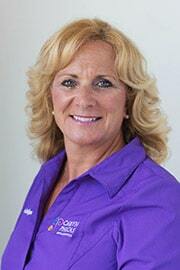 Kathy has been our Insurance Coordinator since 2011 as well as our ebullient Braces Shuttle driver. She enjoys getting to know the patients on a personal level as she escorts them to and from their orthodontic appointments. Kathy is married and has four beautiful daughters and loves spending time with her family and friends (especially if it can be on a beach)! 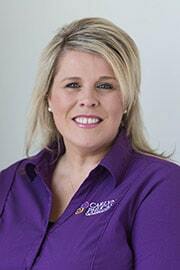 Stacy started her career in dental assisting in 1995 and joined Dr. Phucas’ team in 1997. 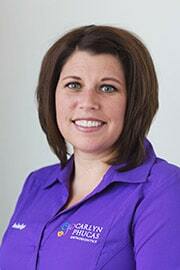 Stacy takes pride in providing every patient a wonderful experience. When at the office, Stacy is devoted to learning the latest techniques to keep her skills sharp. When not working, Stacy spends her time with her husband, John and three children Olivia, Brooke and Johnny. Her children keep her busy with various activities and in her spare time she enjoys the beach and reading. Brittany was exhilarated to join Dr. Phucas’ team in 2012 after graduating from the Camden County Dental Assisting Program. She is passionate about her job and feels fortunate to have such a terrific boss and co-workers. Brittany enjoys getting to know our patients and seeing the awesome smiles Dr. Phucas creates. She is committed to making our patients feel comfortable and at ease during treatment. Brittany’s hobbies include exercising, shopping, and traveling. When not working, she enjoys vacationing with her family and friends in Florida where the beaches are warm year round. Cindy is our Scheduling Coordinator and just recently joined Dr. Phucas and her team in 2018. 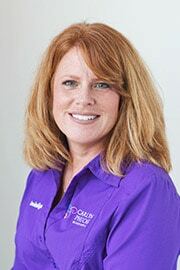 Cindy comes to us with over 13 years of experience and truly enjoys the everyday interaction with all of our patients. 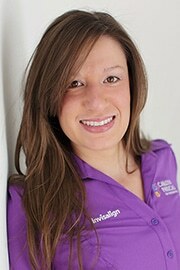 Always with a smile, she will gladly answer any questions you may have or help schedule your next appointment. When Cindy is not working, she loves spending time with her husband and 2 daughters. She enjoys trips to the park with their dog, shopping, traveling and outings with her family and friends. Eric is a Registered Dental Assistant and has been part of the Dr. Phucas team since he graduated from the Camden County Dental Assisting Program in 2016. 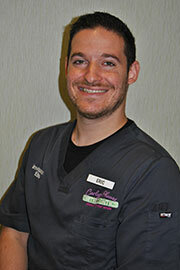 Eric loves interacting with patients and seeing their smiles beautify with each visit. When Eric is not working, he loves spending time with family and friends and doing thrill-seeking activities like snowboarding and surfing. 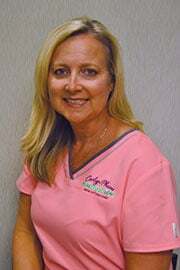 Kim is a Registered Dental Assistant since 1994. She loves taking the time to connect with patients and watch their confidence grow as their smiles are completely transformed throughout their treatment. In her free time, Kim loves spending time with her husband, two daughters, and two dogs down the shore because it is her all-time favorite place. 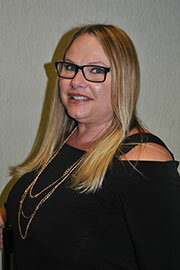 Stacy joined Dr. Phucas’s team in 2018 as the Financial Coordinator. Stacy has an extensive background in business management and workforce development. 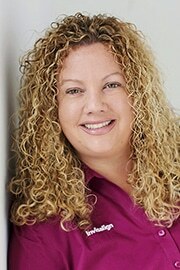 Stacy has enjoyed traveling throughout the country and has lived in Costa Rica spearheading a startup company. Stacy has an entrepreneurial spirit that has shown through in owning and operating two small businesses alongside with her children. In her spare time she finds great joy in spending time with her Grandchildren, she especially enjoys decorating for all seasons and party planning.